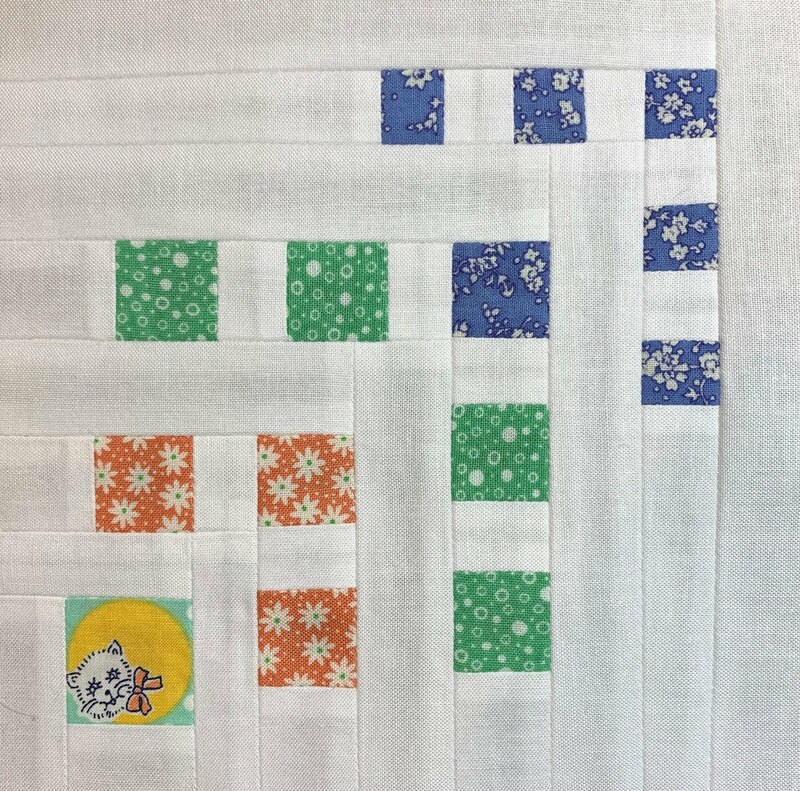 This week I have just completed the one block "Scatter". It was fiddly with such tiny piecing, but it came together OK. I'm linking up over at Splendid Sampler if you would like to see what the others have made this week. Lovely block....those blocks do mount up and get away from you. I wasn't brave enough to do another SS lol! Lovely finish .. cute tiny fussy cutting..
That does look fiddly. Cute though. Love that centre square. Looking forward to seeing them - always need one spare project - otherwise someone else will find something for you to do!! !